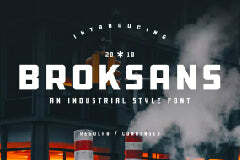 Today we're glad to feature this free roona sans bold font. Download this typeface from the original source of Font Space. You can create a professional designs with this cool font.